Are you searching for tasty Weight Watchers Freestyle recipes with Smartpoints? 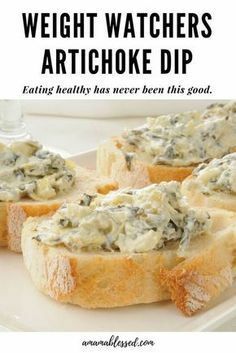 This Weight Watchers artichoke dip recipe with points is delicious, easy and will satisfy you. Made in the slow cooker, crock pot or instant pot, this dip is healthy, kid friendly and will please a crowd. Served as a side, but also good for breakfast, lunch or dinner with other foods! This is one of the best Weight Watchers appetizers.